Can someone explain this in Make the Cut-ese please? Holy Cow!! I thought it would be easy..... : ( Anyway, Thanks @Crazy_Mr_Zing ! @ahunting - it's only hard the first time around. Some people create the lines and save them as a shape in their own Basic Shapes category, then the file is there for when they need it. Good Day, I have seen the webinar and what was done above. I have done all these steps but my boolean join is not available. Why is it not allowing me to use this feature? @DragonStrawbz - are all those lines joined/welded as one shape? You can only boolean join 2 shapes together at a time. 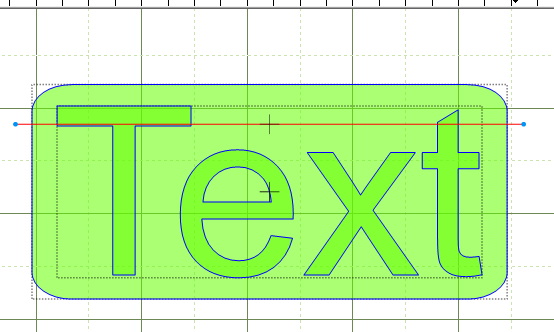 So you'll have to join or weld the text and join the lines before boolean joining them together as Liz alluded to. @tuicarlosreally - that is good to know since it doesn't show on their website. Export as SVG/PDF/JPEG (Business Edition) - User-created designs will have the ability to save designs as SVG, PDF and JPEG files directly from Silhouette Studio. Silhouette Design Store files will be excluded. For someone that has a lot of .studio files and wants to export them as svg the additional cost may be well worth the money. The cost is around US$60.00.